The FTSE 100 was down 0.7% by midday amid global growth fears, despite some grounds for optimism in a key survey on German business sentiment. US futures are pointing to modest losses on Wall Street later, following the big sell off on Friday. Contractor company Wood Group dropped 7.9% after it announced that it had sold its non-core Terra Nova Technologies business to a Murray & Roberts Holdings unit for $38m. Inmarsat soared 8.6% after accepting a takeover bid by a consortium led by private equity groups Apax and Warburg Pincus in a deal that valued the satellite company at $3.4bn. 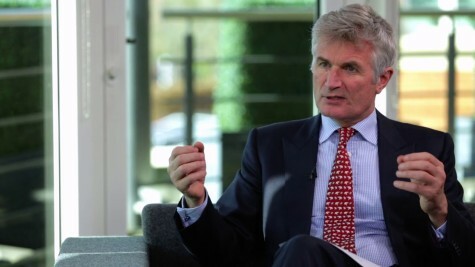 Subprime lender Provident Financial declined 1.6% to 514.4p as it announced the appointment of a new chief executive and chairman to its Vanquis Bank unit, while reiterating its rejection of a takeover bid from Non-Standard Financial. Medical products supplier Convatec gained 4.6% to 140.5p after it poached Genus head Karim Bitar as its new chief executive. Wine retailer Majestic Wine slid 11.8% to 239p on revealing that it was reviewing its dividend amid a plan to invest more capital in its Naked Wines online business unit. Banknote and product authentication technology group Spectra Systems shed 4% despite it posting a 30% rise in annual profit. Ovoca Bio jumped 19% on news that it had recorded positive results from a trail of a treatment for hypoactive sexual desire disorder in premenopausal women. Textile processor Leeds Group fell 2.1% after it warned on profits, citing increased competition in a weaker market.